I will be honest, when I tried out the wah pedal for the very first time I was not impressed that much. For me, it was a plain effect that did not do enough for my needs. Luckily, I left my options open and was eager to play with wah once more. This time I borrowed it from my dear friend and spend days tweaking, sweeping and experimenting with various moves and actions. At the end of the trial I was in love with the effect and the possibilities it unveiled. Then I realized that during my first attempt, I had no idea how it worked and the model I played was not exactly the best. That’s what triggered me to start searching the market and find the best wah pedal out there. And guess what, I came across Fulltone Clyde Deluxe. At the time, it costed less but still seemed a bit expensive. I decided to risk and sacrifice my savings – and I am so glad that I did. It remains in my rig till this day and outplays its contenders each and every time. If you want to collect more information about this bad boy, scrutinize its features and sound, then continue reading this article. Let’s get started! 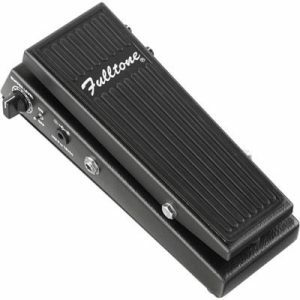 If you are familiar with Fulltone and their products, you might already know that they offer boutique quality with custom-made constituents and hand-wired circuits. Clyde Deluxe is not an exception either. It features custom-made tuned-core inductors that are covered with MuMetal that protects them from developing any type of hum. This way the circuit remains silent while you create wonderful tracks. The potentiometer is made in a way that extends its lifespan and guarantees smooth operation. The shell is robust and as you step on it, you do not get the feeling that it will shatter in pieces. It looks rather fancy and expensive as well and will not get lost in the crowd. To tailor Clyde Deluxe to your own preferences, Fulltone included adjustable tension. This allows you to control the resistance of the treadle and make it as convenient as possible. More importantly, it has three different voicings: Wacked, Jimi and Shaft. Each of them has its own distinctive nature and lets you change the character of the whole performance with just a simple switch. It has true bypass and JFET powered buffered circuits. The latter makes Clyde Deluxe compatible with fuzz boxes and offers up to 12dB clean boost. This bad boy can be powered with a single Carbon-Zinc 9V battery (this type is recommended by the manufacturer) or an adapter. It all depends on your preferences and the scenarios in which you perform. How can you unveil the true capabilities and all the functionalities of Fulltone Clyde Deluxe? There are two ways – practicing a lot and getting the most out of the controls. I will discuss the former a bit later, but now let’s focus on the knobs and switches we have here. This way you can figure out to what extent you can tweak this pedal even before you invest in it. It is worth mentioning that Clyde Deluxe has external controls along with an internal switch for more meticulous adjustments. On one side of the pedal, you will see an Input Level knob. It modifies the level of the effect and, additionally, allows you to overdrive your wah slightly. This way you will be exposed to more depth and gritty textures. Next to it there is a three-way switch that enables you to choose between Wacked, Jimi and Shaft voices. 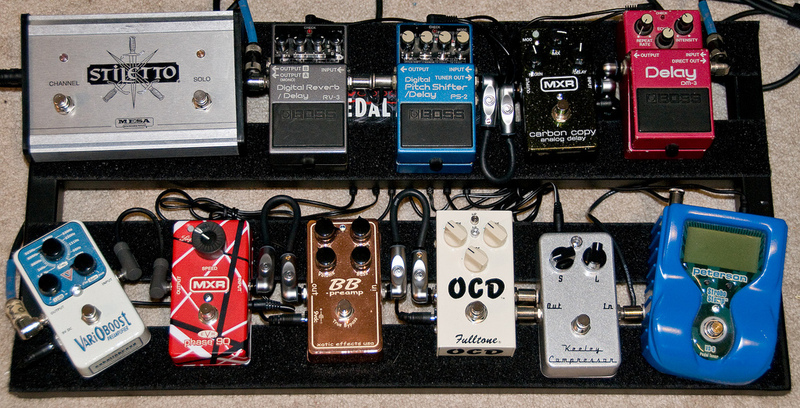 This changes the outcome of the pedal drastically and gives you different results with each setting. On the other side of the pedal, you will find the toggle, which activates the JFET Buffer. Its volume can be modified with Buffer Level knob, which can also boost your signal. Through this switch you can avoid the tonal loss that is so typical of wah pedals. As you loosen the rubber feet, lift up the bottom lid and expose the circuit itself, you will be able to find the internal Resonance control. It changes the color of your tone and emphasizes bass frequencies while adding more gain as you rotate it clockwise. A lot can be said about the sound of Fulltone Clyde Deluxe. Though no words can depict its tonal characteristics fully, this section will give you an idea of the general feel of the pedal. From what you have read so far, you already know that this bad boy is versatile. The voices available can be easily distinguished between each other, since they all target different spectrums. Wacked offers fat, thick sound which is replete with bass and low-end nature. Jimi is reminiscent of Hendrix himself and will even remind you of vintage wah pedals from Vox. It is heavier and grittier, but still maintains the clarity and definition. And Shaft lifts you up higher and higher and accentuates the trebles in your signal. The boost/buffer feature is an amazing addition, since it makes up for the lost tone and volume, and accommodates the pedal to the fuzz boxes and other distorted treats. The internal resonance control allows you to go even lower and emphasize the basses so that they can submerge your whole existence. The range of Clyde Deluxe is ethereal, rather wide and all-encompassing, but it can be a bit too much for some. Therefore, I encourage you to take your time, practice a lot and see what kind of motion is required to unleash the full potential of this spectacular pedal. On the whole, Fulltone Clyde Deluxe has a learning curve, but once you figure it out, you will be left with ethereal possibilities. Be it ‘wacka-wacka’, simple ‘wah-wah’ or deep ‘wooow’ sounds, this fella knows how to refine them and deliver in the perfect shape. Its range, functionalities and multifaceted features make Clyde Deluxe the number one choice. Learn from others experience, take a risk and dive into the wah world with a beast of a pedal. Good luck!